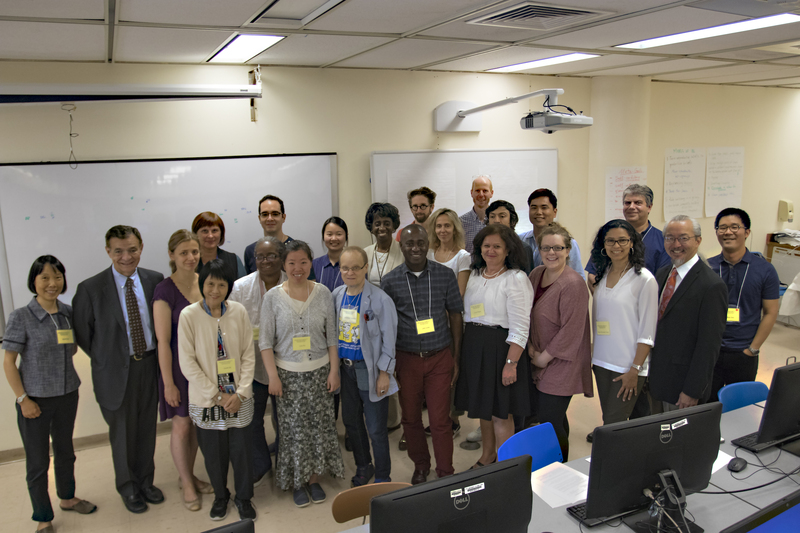 Volker Ecke, Danielle Champney, and Xiao Xiao (members of the AIBL - PRODUCT team) co-facilitated a 2-day IBL workshop for about 20 mathematics faculty at the Borough of Manhattan Community College and Queensborough Community College. A showcase of the active student involvement in our IBL classrooms. Signup for our newsletter to receive email updates on new project developments as well as our thoughts on the practice of IBL in undergraduate mathematics education. Faculty members may request a free account to access teacher editions for each book and more. Filling out our account request form only takes a moment. Already a member? Login now. Have you used one or more of our books in your classroom? Are you interested in becoming a beta tester? Do you want to learn more? Get in touch. We would be happy to hear from you!